Homemade fries are always far better than fries bought at McDonalds or Burger King. They are far closer to real potatoes than typical fries, which contain more fat and salt than actual potato. 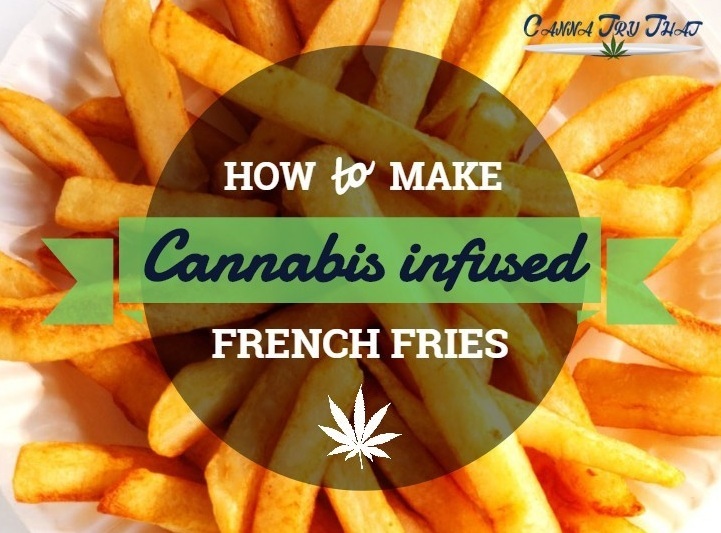 And with some THC and some organic home cooking you can make a great batch of potato fries for you and your friends. The following is a simple recipe that could stand you in good stead for years to come. In this recipe, you are using your own weed which means you will be going through the step of decarboxylation. It is possible to use medicated oil to make your fries, but be aware of the boiling point of the oil as it can sometimes be lower. Step number one is to grind up your weed finely, but not too fine as the product will be strained. Put the oil and weed into a slow cooker or a boiler and warm for several hours. Make sure that the temperature does not exceed 245°F, as above this point the weed will lose some of its juicy ingredients that are meant to be in your endocannabinoid receptors. After this strain the oil with any form of strainer that you happen to have at hand. Store the oil in a jar or container until you are ready to fry the potatoes. Now slice your potatoes into strips that resemble French fries. Do not use store bought fries as these are low quality. Cook the oil in a large skillet and add the salt, onion salt, flour, paprika and garlic salt. Gently add the water so the mixture is a little fluid. Dip the potato slices/fries into the skillet mix one by one. Do not allow them to touch each other and dry off with a paper towel when each turns a golden brown. Viola, you now have high quality cannabis infused golden potato fries.